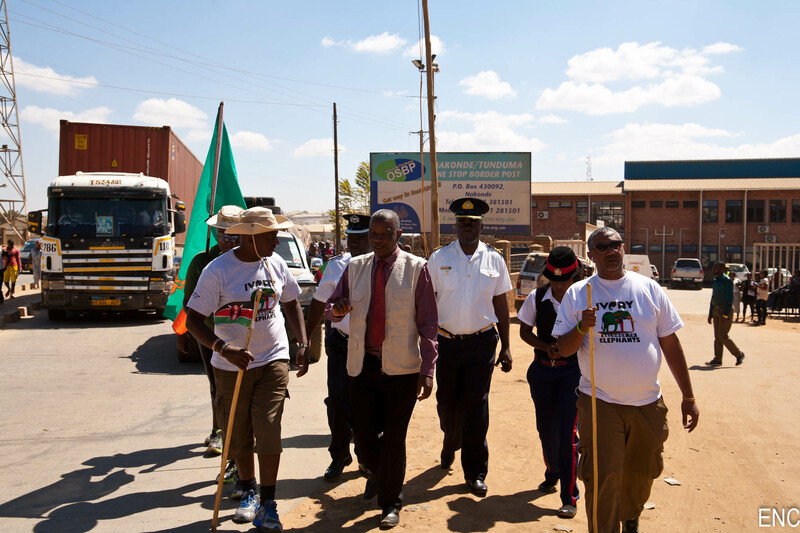 Kenyan Elephant Man enters Zambia from Tanzania by foot to create awareness on the plight of African elephants! 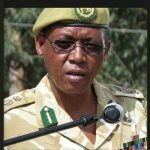 Nakonde District commissioner Mr. Field Simwinga received Jim Justus Nyamu Executive Director of Elephant Neighbors Center based in Kenya at Nakonde border post on Monday August 13th 2018. 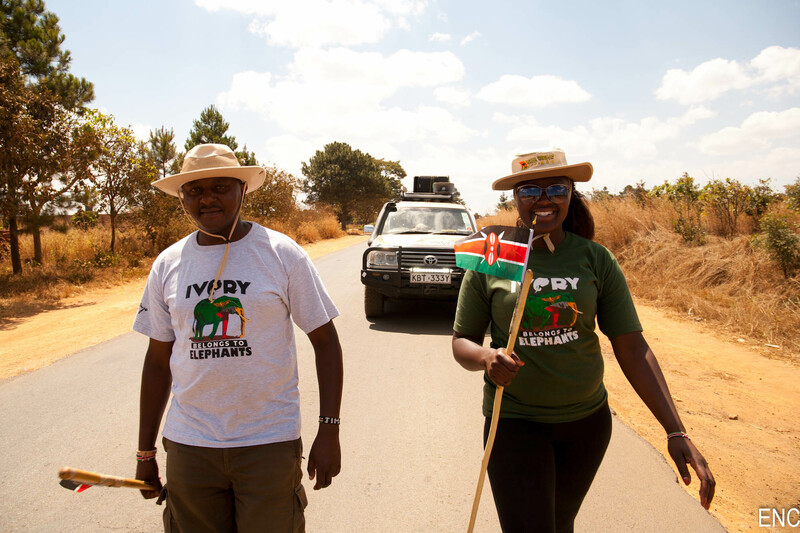 Other officers included senior immigration officers and Zambia Wildlife Authority, in a team of 8 Kenyan Jim started the walk dubbed Ivory Belongs to Elephants in Nairobi Capital and he intends to walk up Botswana through Zambia and Zimbabwe. While in Lusaka he is scheduled to be received by dignitaries from different Embassies and will later pay a courtesy call to Former Zambia President Kenneth Kaunda. It’s time for Africa to save her elephants by engaging other neighboring countries and defeats single country efforts says Kenyan Elephant scientist. He also added that in mid 70’s Africa had 3.5million elephants that roamed in over 37 countries; Africa today host 350,000 elephants and some countries have no elephants due to poaching upsurge. Zambia currently host 21,000 elephants according to primary data collated by African Elephant Database of IUCN, Zambia has deployed inter agencies efforts in mitigating human wildlife conflict and ending elephant poaching .Jim Justus Nyamu have walked over 13,000km since 2013 across Kenya, Tanzania, Uganda, USA and UK in a bid to save African elephants from ivory poaching. 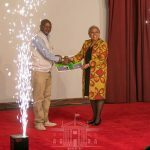 In his brief statements, he challenged young Zambian to identify activities that can improve their livelihoods tapped from wildlife conservation. Nakonde District commissioner Mr Field assured Jim and his team full support and ask community to listen to Jim’s message, it take courage for an African to take this selfless mission in saving elephants using such a unique style! We do not have anything to give you but to support you says the DC . 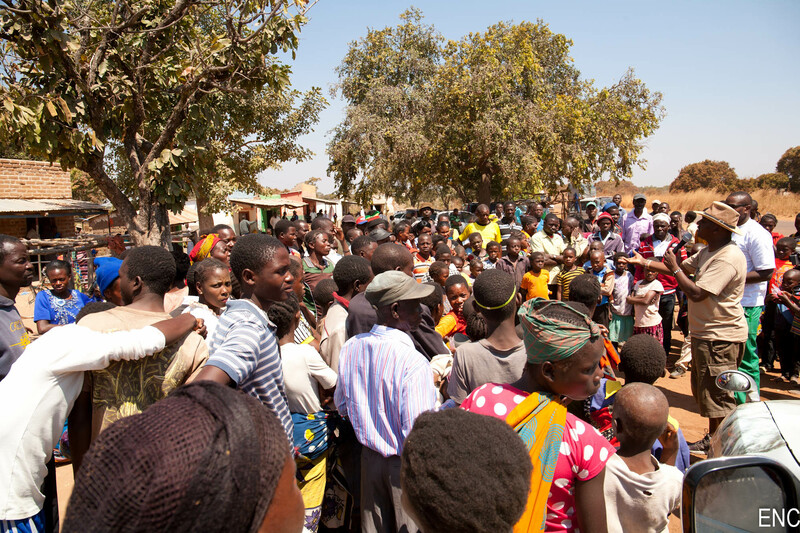 Youth Environment Network led by Billy Lombe a renowned Environmentalist from Lusaka hosts Zambia elephant walk. The walk will pass through Isoka, Shinsali, Mpika, North Luangwa National Park, Chipataa , Lusaka , Mazabuka to Livingstone border post in one month . We are delighted to host this great initiative that aims at creating awareness on elephant conservation in Zambia says Billy Lombe Executive Director of Youth Environment Network.